Children in the Caribbean and Latin America suffer daily from lack of food and clean water. You can change that. Every child deserves the basics of life: food and water. 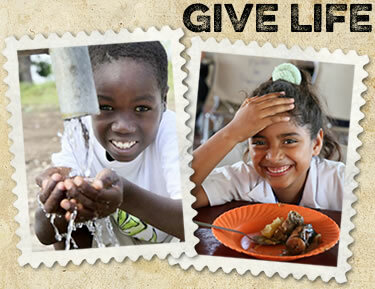 Your loving gift will provide a year’s worth of food and a lifetime supply of clean water. It’s a gift of LIFE. How many children can you help? $150 will feed 3 children for a year and provide water for life. How many children can you help?